Don't let anyone tell you politics is boring! Paul Krishnamurty reports on the earthquake in our French election market, where Alain Juppe is on course to land the biggest gamble in political betting history. "Make no mistake, Juppe can win and, if confirmed as replacement, could well resume favouritism. Support for any UMP candidate is remarkably solid and...this election was meant to be the mainstream Conservatives' turn." We thought it could never happen again. That no political market could ever compare to the 2016 US election. One where rumours, scandal and media speculation regularly sparked the most dramatic market moves on people who weren't even running. One where a main candidate's participation was in doubt right up to the closing stages. Yet with just over seven weeks until the first round of the French Presidential Election, this race is giving Trump/Clinton a run for it's money. Indeed, we have just witnessed arguably the most sensational gamble in political betting history. This time last year, the general consensus was that Alain Juppe would become the next president. The septuagenarian former Prime Minister was trading around [1.5], (equivalent to a 67% chance), even before his UMP party's nomination process begun. Then came the first earthquake, as Juppe was eliminated after another massive gamble on an outsider. Francois Fillon swept from odds around [200.0] to claim the nomination and duly traded down to [1.4] (71%) for the main prize. With his political career seemingly over, Juppe drifted on Betfair to the maximum odds of [1000.0], where he was matched for £420. However the next favourite's reign at the top of the market was short-lived, as the ongoing 'Penelopegate' scandal threatened to destroy his reputation. 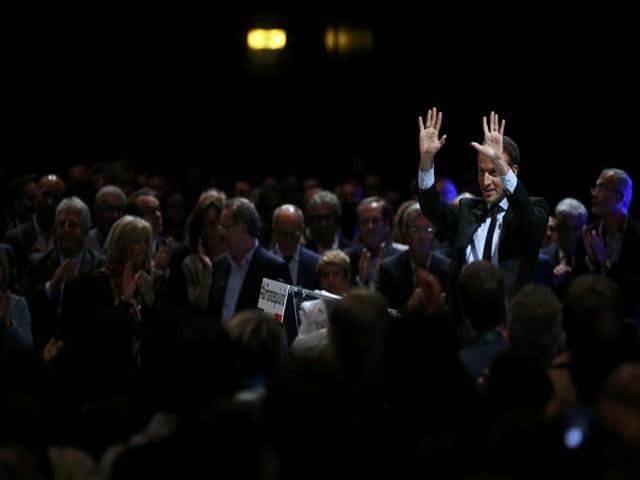 Fresh-faced, popular independent candidate Emmanuel Macron usurped him as the front-runner. Just as Clinton's e-mails and Trump's 'Pussygate' tapes sparked rumours of withdrawals and replacements, so Fillon has been in crisis for weeks in response to revelations that his wife was paid vast sums of public money for 'fake jobs'. Polls have shown up to three quarters of the French public want him to withdraw - and that was before this week's court summons and police raiding his house. Scepticism that he could survive grew and potential replacements - with Juppe the most popular among several UMP alternatives - shortened up significantly, to single-figure odds. Juppe even momentarily overtook Fillon in the betting earlier this week, before the candidate tried to quash rumours of an imminent withdrawal. Even last night, Fillon declared at a rally that he had no intention of giving up. However while the official candidate has remained defiant in the face of a worsening news cycle and the resignation of several key supporters - most notably would-be foreign affairs spokesman Bruno Le Maire - punters are now giving a clear verdict. This morning, Juppe has comfortably passed his former primary rival in our market and is currently rated just [5.5] (18%), compared to Fillon at [13.0] (8%). The key developments driving the market are Fillon's waning support and reports that Juppe has agreed to step in. Previously he'd dismissed any such Plan B, but it seems that influential voices from across the party have convinced him. Colleagues appear to have decided that unity around a 'safe pair of hands' is preferable to taking a chance on a younger, fresher alternative such as Francois Baroin or Laurent Wauquiez. Furthermore, Juppe's comeback could have profound implications for the wider race and the two current front-runners. As Fillon floundered, Emmanuel Macron's poll lead has firmed up and the independent centrist went odds-on earlier in the week. Now, with the prospect of facing a rival that isn't fatally wounded by scandal, Macron is on the drift at [2.2] (45%). Marine Le Pen - all but certain to make the final two - remains second favourite at [4.1] (24%), but is assumed to remain a big outsider in the second round, head-to-head run-off. Make no mistake, Juppe can win and, if confirmed as replacement, could well resume favouritism. Support for any UMP candidate is remarkably solid and, following a disastrous term for Socialist President Francois Hollande, this election was meant to be the mainstream Conservatives' turn. Even a damaged Fillon's polling deficit was often within the margin of error so any scandal-free replacement could very plausibly retake the lead. Could there be another twist? Fillon has yet to throw in the towel and, whatever his colleagues think, the nomination remains his to relinquish. Equally, it is plausible that UMP leaders consider alternatives to Juppe. Baroin has also attracted plenty of money, while Wauquiez, Gerard Larcher and Xavier Bertrand were all mooted in the media as possible replacements. Nevertheless right now, it looks like Fillon has lost too much support to survive. If and when Juppe steps in, it will set up a fascinating three-way contest between a far-right populist, a mainstream, establishment conservative and a charismatic independent, trying to smash the party system - none of whom are free from controversy. After everything we've seen in politics over the last year, dare anyone make a confident prediction?